Discount transport rates for all items from .001 cubic meters to pallet loads, 1 parcel or 100 pallets. Office hours are Monday to Thursday, 9am - 2pm. Save this to your watchlist, you will need it one day. Be it smaller courier items (up to 25kgs) or larger items that can fit on a pallet or in a customised crate then WE CAN HELP and YOU CAN SAVE! TRADEME purchases - we can quote to move your out of town Trademe purchase. AUCTIONS - we can pick-up your auction purchases and ship it NATIONWIDE! We also have a PACKAGING service available in Christchurch. - Bikes / buggies / golf bags from $60+gst within island and $70+gst interisland. - 1.2m3 Christchurch to Dunedin for $85+gst (as per our schedule). We can move 20' and 40' containers of product Auckland to Christchurch and return for as little as $35+gst per cube. MOVING CITIES? Move house lots for less than half the price of traditional moving companies. 20' (33m3) and 40' (65m3) SELF-PACK CONTAINERS available door to door! Nationwide. FULL WAREHOUSING AND DISTRIBUTION SERVICES now available also. ** Like us on Facebook 'Discount Freight NZ' to keep up to date, and to recieve freight coupon discounts. So you get discounts on the discounts!!!! Got wheels freighted from Auckland to Southland, price was excellent but they managed to loose most of the wheel nuts and all the lock nuts. Wheels were not repackaged properly in Auckland. An engine I purchased through Leroy Mcintyre was sent to Tauranga through you guys, it’s now sitting in a depot at a location I don’t know the location of as you have failed to deliver it. I have called you countless times with no one picking the phone up, I have well and truly given up and would just like to know the location of the depot so I can pick up my engine, if it is still there! These guys are great. I called them on Monday, they picked my pallet up in Auckland on Wednesday, and delivered it to me in Christchurch on Friday. A great service at a great price. Thanks Josh! Excellent price and service. I had a fragile large package in Kaitangata Balclutha to be delivered to my address in Palmerston North, paid on Monday 11th Dec. arrived at my door early Saturday morning 16th Dec.Brilliant job well done, considering Kaitangata Balclutha isn't a main centre. This was my second time using Discount Freight, great outcome both times. Many thanks. Great service, excellent communication, thanks Esther. Absolutely fantastic, had a full set of wheels brought up from Timaru. Totally went without a hitch. Excellent communication from Discount Freight. Thanks so much Esther. Wonderful service again! 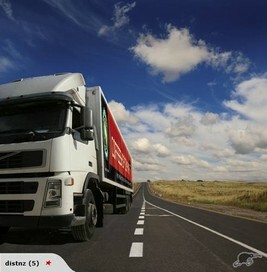 Your company takes away the worries of freighting goods around the country. Excellent price and delivery times. Will be back next time. Many thanks. Sincerest regards, M.T. Great communications, great people, great rates. Fast and efficient delivery Christchurch to Palmerston North despite bad weather and ferry cancellations, sent on Wednesday arrived on Friday morning. Item arrived safely and will definitely use these guys again. Good job, well done Esther and the team. Brilliant. Many thanks. Fantastic Service from start to finish. I would happily use again & advise anyone else too. Still couldn't believe how easy you made it from pickup to the price, & a very happy customer at the other end as well. I won't be using other freight companies next time i will just ring you guys. Cheers & Thankyou so much. A pleasure to deal with, excellent timely communication and no drama whatsoever. Having dealt with a LOT of incompetence and dishonesty from other freight providers, this was refreshing. Thanks.